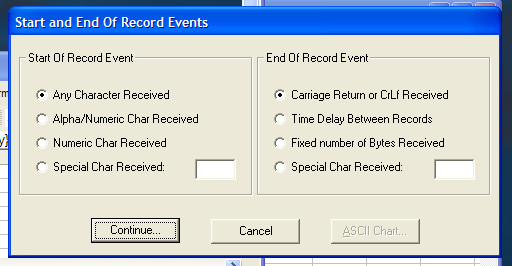 WinWedge is a simple tool to obtain periodic readouts through a serial RS-232 or COM interface (e.g. from an analytical balance). 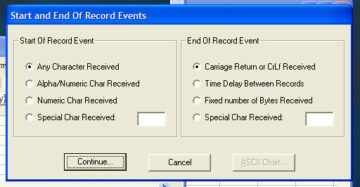 unfortunately, though, obtaining a timestamp for every data point is not as intuitive as it could be. 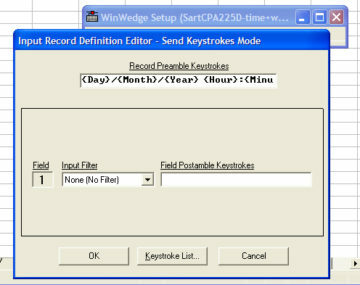 here’s how you can automatically add a timestamp to your periodic output with WinWedge (tested with WinWedge32 Std. V3.0). let’s assume that you’ve already configured the basic communication (“Port” – “Settings”) and timer settings (“Define” – “Serial Output Strings” > “Interval (ms)” and “Timer Controlled Output String”). 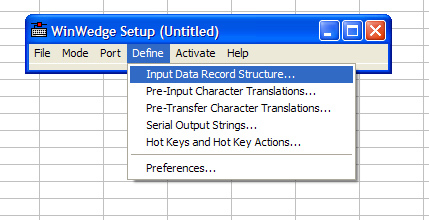 in the file menu, open “Define” – “Input Data Record Structure”. ignore the settings in the pop-up window and click “Continue…” twice. enter the following string (or a variation thereof) into the field “Record Preamble Keystrokes”, and press OK.
save your WinWedge file, create a new Excel spreadsheet, and activate WinWedge by opening the saved file directly.